Imagine discovering that severe respiratory distress was a side effect of a small device implanted in the top of the spine to relieve pain. After Kathleen Yaremchuk, an ENT (ear, nose and throat) doctor had to perform an emergency tracheotomy on one patient with the implant to save her life, she and her colleagues reviewed the records of 260 patients implanted with the device at Henry Ford Hospital, and found that a significant number of these patients developed airway obstruction, had trouble swallowing and went into respiratory failure, which in some cases proved fatal. That small, spinal implant was cleared by the U.S. Food and Drug Administration (FDA) in 2003 without any clinical trials in humans, according to a story in the Washington Post. An investigation by the International Consortium of Investigative Journalists found that there have been 1.7 million injuries and more than 80,000 deaths associated with defective products that have been implanted into human bodies. The journalists who led the study place much of the blame on the failure of the FDA’s oversight for medical devices. The FDA has a long history of allowing dangerous products to go to market: hip implants that led to cobalt poisoning; transvaginal mesh that cut through flesh and organs; defibrillators that shock patients; female sterilization products that migrate or disintegrate, leading to hysterectomies – the list goes on and on. Most of these devices were cleared through the 510(k) premarket submission, which allows devices to be marketed with minimal trials, so long as manufacturers could prove there was an equivalent predicate device. The problem with the 510(k) process is that a new device can be based on a predicate device even if that device was removed from the market or recalled for safety concerns. The Post points to the root of the problem: the FDA considers the medical device manufacturers their “customers,” not the patients who are paying for these devices with their money or their lives. As long as the manufacturers are given the power, people will be at risk of serious, life-threatening injuries. In November 2018, the FDA announced that it plans to make “transformative” changes to the way medical devices are cleared for sale in the U.S., specifically thought the 510(k)-clearance pathway. The new steps that the FDA is proposing are supposed to be an effort to keep pace with innovation, promote patient care, and match the FDA’s evolving understanding of benefits and risks. The FDA is planning to rename the new approach the “Safety and Performance Based Pathway,” with an eye toward a direct and transparent approach to demonstrating the safety and effectiveness of modern devices. In other words, if a new product is based on a defective product created in the last 10 years, and that defective product was based on a defective predicate device from 25 years ago, the new device will still be eligible for consideration under the 510(k) process. As this is the exact problem we are currently facing, this “most impactful” change announced by the FDA amounts to nothing. Patients will still be at risk of having a dangerous medical device implanted inside of them. Implanted medical devices should be classified as high-risk or Class III devices, which would require rigorous clinical trials, data from these trials be made available to the public. Implanted devices should be entered into registries which track patient outcomes. Congress should fully fund the agency so it can cut ties entirely with the manufacturing industry. 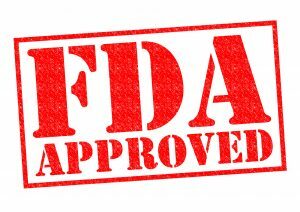 The FDA must require clinical testing for medical implants, just as it does for drug approval, so that patients will have evidence that proves the safety and effectiveness of the device. The defective medical device injury lawyers at McGowan, Hood & Felder, LLC, are here to protect the rights of those who have sustained serious injury from a defective implanted medical device or defective drug. We will review your options after an injury, including filing an individual lawsuit to recover financial compensation if your case meets certain criteria. To discover what we can do for you, contact us and schedule a free case evaluation. Call 888.302.7546 today.